Calgary SPCA: Do You Take Care of Animals? Search for more about Calgary and pets. Here is your chance to help the Calgary SPCA. Help the animals. Dogs and cats become abandoned and injured every day, often by city traffic. The Calgary Humane Society is a place where they can go. This map shows you the location. 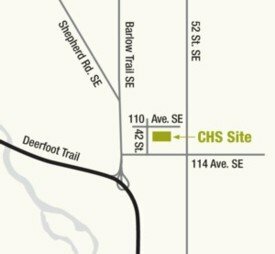 It's near the intersection of Deerfoot and Barlow Trail in the south. …But only if there is enough funding and resources. Medical treatments and upkeep are expensive. Here is where you can donate. It goes directly to this SPCA. Get yourself a pet from the Calgary SPCA? A companion? A source of happiness? Extra Effort on your part! Yeah, there are caveats. Do a little research to determine the right creature for you. Involve the whole household. Don’t expect any one person to do it all, especially your over-eager kids. You know where to look for a pet? Ask about getting one from the Calgary SPCA. They have plenty that are innoculated and well cared for. Can you afford it? Consider both your time and money. Having an animal presents demands that many, but not all, people can handle quite easily. When is the SPCA open? …for your dog. Make man's best friend outta him. The Society for the Prevention of Cruelty to Animals came from people witnessing animal abuse. Horses and cattle included. They especially saw the need to limit the mean handling by dog catchers. Often strays were euthanized automatically, and not always in gentle ways, either. The SPCA idea caught on. Soon, major cities everywhere had a society, and the Calgary SPCA started in 1922. Their goal is to keep pets alive and healthy until they find good homes. They can't keep them all, though. Throughout history, most have been killed. Unfortunate, though that is, they seem to have no other options. They claim the best solution overall is to spay or neuter if you own a pet. That small investment helps keep the numbers manageable. As Bob Barker might have said, "the price is right." The societies can always get more cages, but what good is that? The unwanted animals just keep coming. Apparently 80% of incoming cats will be put to death. And for dogs it's not much better. The people who have to do the dirty deeds are usually animal lovers, sometimes volunteers, and it horrifies them. One person said, "It's an impossible, almost schizophrenic situation. Shelter workers themselves spend half their time protecting animals and the other half killing them." A guarantee for pets? In some cities, a home has been promised for every healthy dog and cat coming into the system. The idea started in San Francisco. I don't know if this one has made it to the Calgary SPCA yet. Does it work? It has a few times. So that proves it can. Want a look at some of the issues currently at hand with the People for the Ethical Treatment of Animals? See their home page at peta.org Warning: Not for the faint at heart. Navigate back from Calgary SPCA to the Lifestyle Public Relations web page.